Here I Am is beautiful indeed but a tough sell at work unless we get an educator wanting books about diversity or an art student who likes strong children's picture book illustrations. I read Here I Am when it was still on Net Galley. It is quite a remarkable book. I liked how the illustrations told the story tremendously-it is a good analogy story. I really want to add this book to my wordless picture book collection. I've been intrigued by this PB Here I am and now I really want to read it! I'm pretty sure I will love it. Hope you are enjoying Endangered - that title really got under my skin. Found myself recommending it to many. 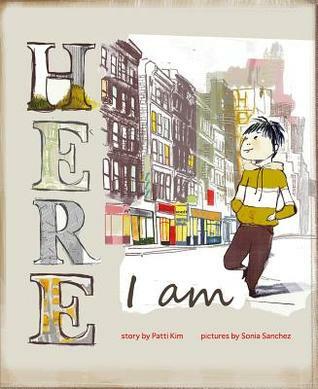 I am fascinated by Here I Am - and am definitely going to get this one for our library collection. I can see so many themes that you could use it for in a classroom. 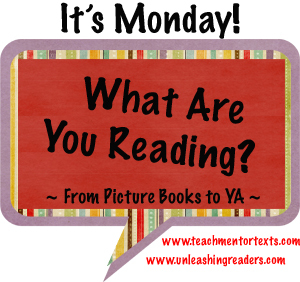 Also the fact that it's wordless lends itself to helping students learn to infer. Thanks for sharing. Hoping the next book you have to read for your class is a little better than Herland! Have a great week! I've not heard of Here I am. It sounds like a great book to have in my collection because I sometimes get children from different countries. Thanks for sharing. I LOVED Endangered and just ordered Threatened from the Scholastic book order. Here I Am looks really good! Here I Am sounds powerful - this would be a wonderful book to share with my sixth graders for writing and discussion. And just when I felt so committed to my intention NOT to purchase any more books for awhile, you share Here I Am, which looks like one I really MUST buy! I am pretty sure I read Herland in college, but I don't remember it at all. Several of my students in Adolescent Lit just read Gilman's "Yellow Wallpaper" a couple of weeks ago in American Lit. I remember being disturbed by that when I read it. I have been wanting to read Endangered but have not gotten to it yet. May need to move it up on my list. I also have a copy of Half Brother that was mentioned by rockyriverteenlibrarian. I started that one but lost interested or time. May have to go back to it and see what I think now. Ahhh! 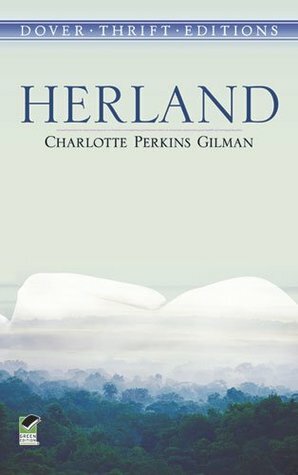 Herland sounds like a horror book ;) There are many, many women in my life that I adore, but let's face it, women can also be the scariest of creatures! Safer to even it out with some men! 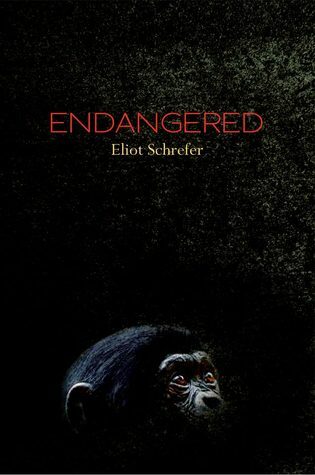 I also loved Endangered, and wished I had older students after reading it, so I could share it and see kid reactions. Have a great week! Here I Am looks sweet. I have been wanting to read Endangered, but just haven't yet. Maybe this year. 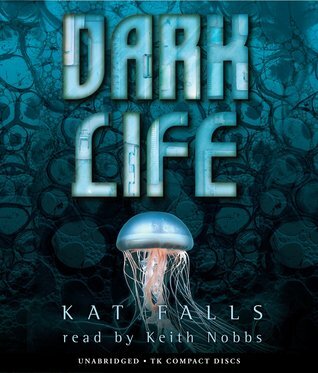 I really enjoyed reading Dark Life! I'm not sure how listening to it would be, but when I read it, I especially liked the creepy scenes at the end. I just got another one of Kat Falls' books because she's a great author. Here I Am sounds really wonderful. I love wordless picture books. I will look up your current reads to see what they are about.